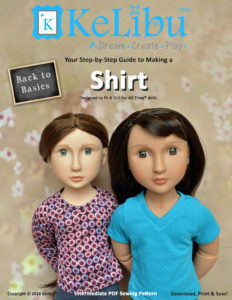 This digital doll clothes pattern will let you sew leggings for your A Girl for All Time® doll. 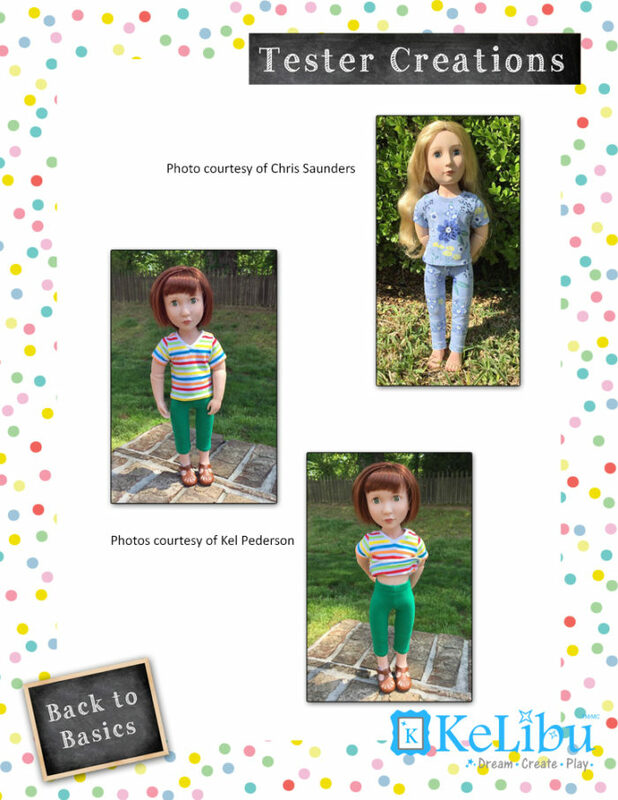 Every girl needs a basic wardrobe! 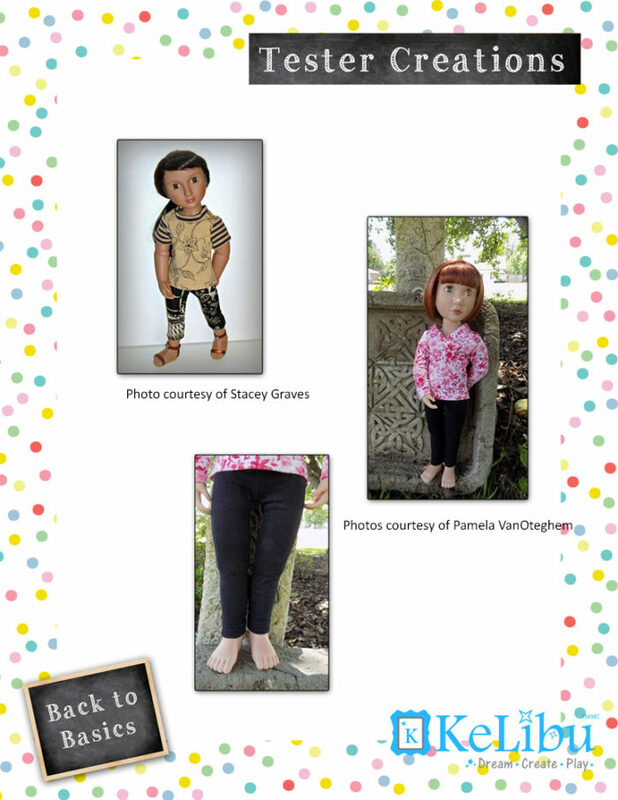 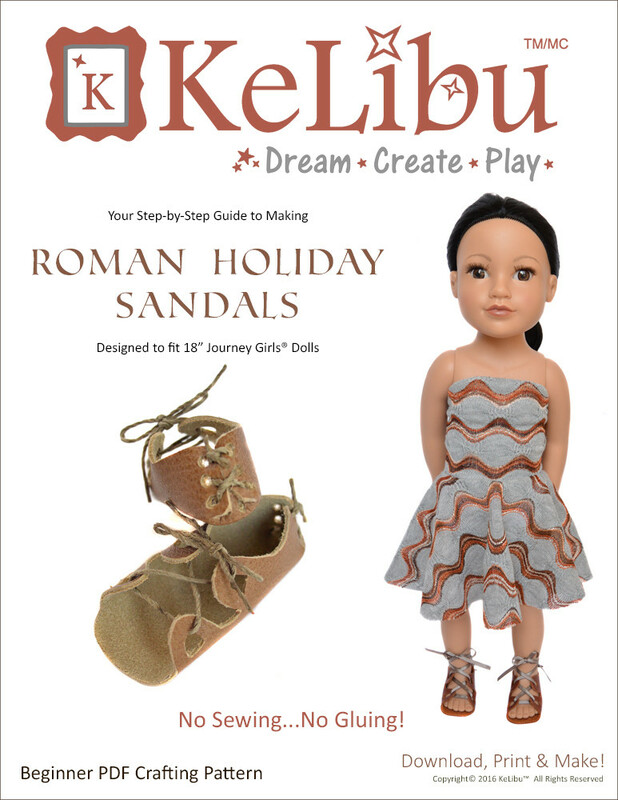 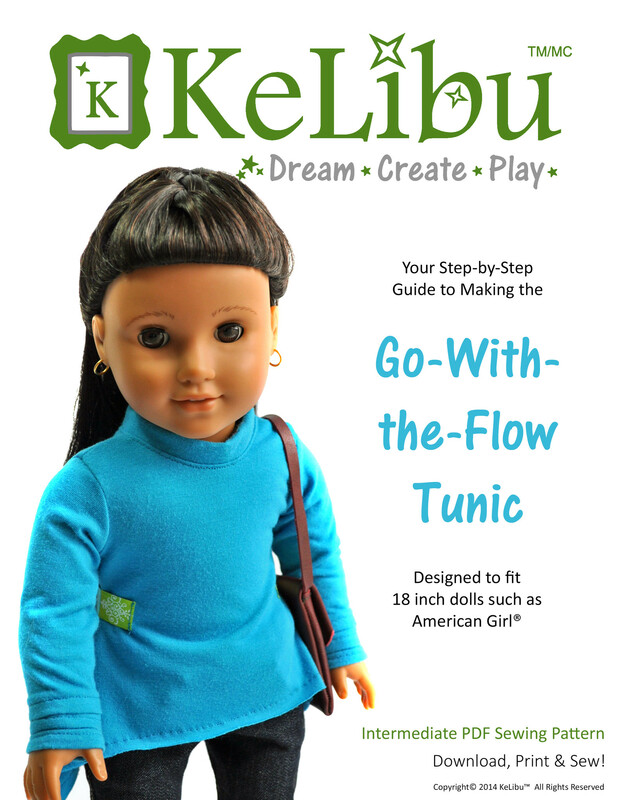 This pattern will let you sew a pair of basic leggings for your doll. You can choose to make the full length leggings or the crop leggings. 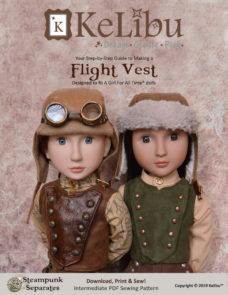 You can also choose between low or high rise options. 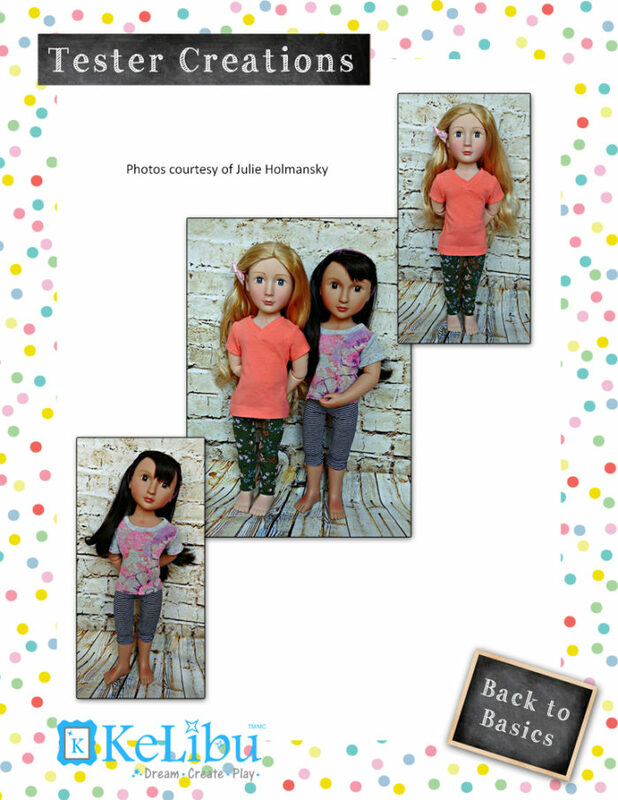 Play with pretty printed knit fabrics or go for solids. 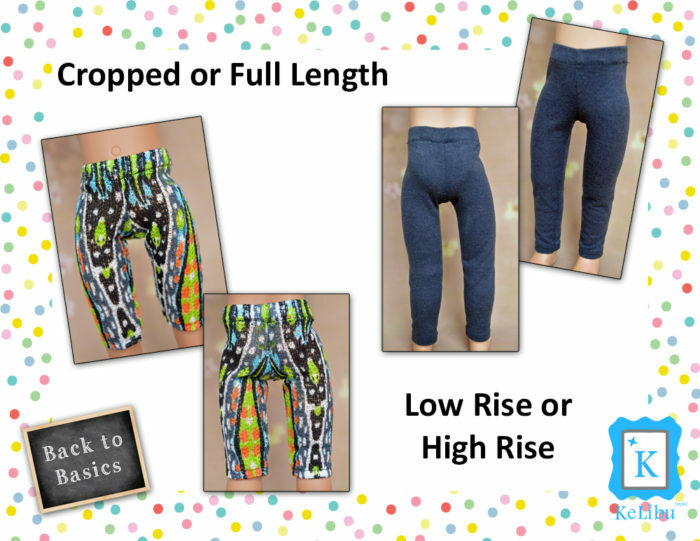 Human t-shirts and leggings can be a great source for small scale print knits. 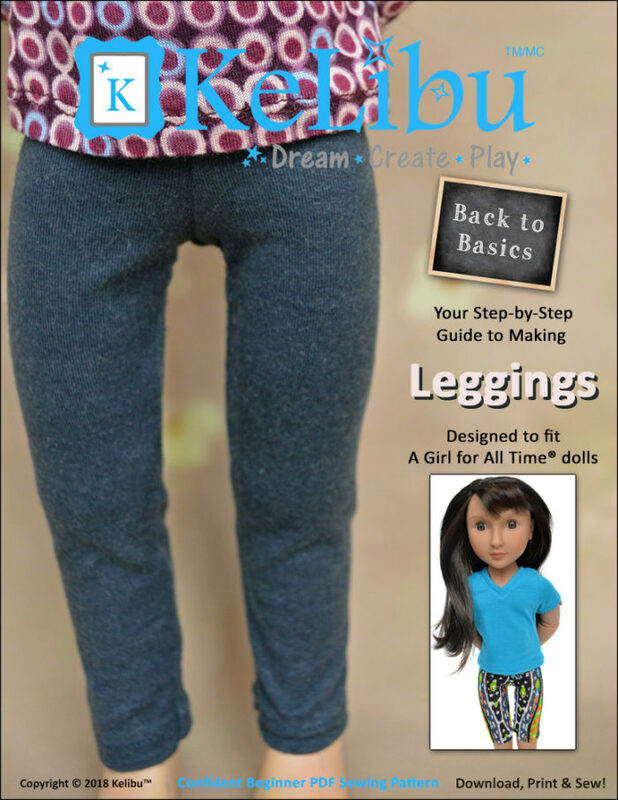 Pair your shirt with the KeLibu Back to Basics Shirt pattern!